I stepped out of the quiet walls of my hotel and into the delights, noise and chaos of the streets of Kathmandu. 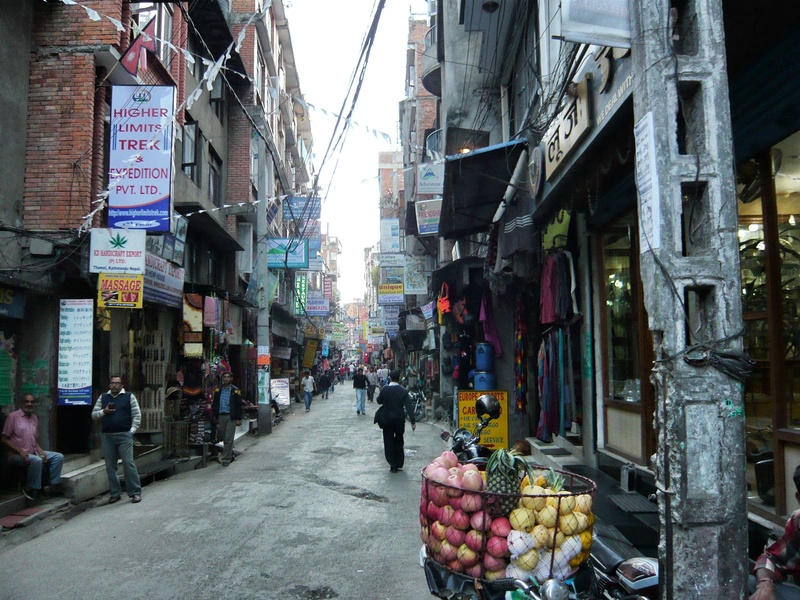 Anything your heart desired could be found or made for you here along Thamel’s tourist mecca. I like how the trekking tourist sign is in English. Not that you would expect it not to be, but it’s a nice touch to an already cool photograph.